Heat Pump or Forced Air Conditioning? When someone has a problem with their cooling, it isn’t uncommon of them to think about swapping to or from a heat pump or forced air conditioner. Today, we’ll cover a bit of the whens and whys of heat pump installation versus air conditioner repair and more! There are a number of reasons as to why someone may want to stay away from one type of home cooling or the other, including bad luck with unexpected repairs or a sudden need for replacement. We get it – and we’re here to help. Find out whether the current system in your home is truly the best thing for you and some more helpful tips below! A heat pump is a great way to get around having a furnace in your home, as many New Braunfels homeowners can attest to. Still, heat pumps rarely match up against a forced air conditioning system in the hot summers we find here, so we very rarely see it as a replacement for air conditioning if all things are equal. That said, if your home is equipped with a heat pump, but no air conditioning, you can benefit greatly by upgrading your heat pump to a more energy efficient version that will do a better job at transferring heat while keep your energy costs down. While a forced air conditioning system, you will inevitably need to have a furnace. Likewise, if you have some sort of air conditioning solution that doesn’t involved ductwork, then you will likely not have a furnace or ductwork. Installing ductwork and an all-new furnace can get expensive quickly, especially in a home that is not under construction, but the investment is typically a good one, as central air adds undeniable value in New Braunfels’ scorching climate. Still, the initial cost can make those that already have a heat pump system in place think twice about the upgrade – which we absolutely understand – and that means heat pump repair and replacement systems are still in high demand, even in the summer. 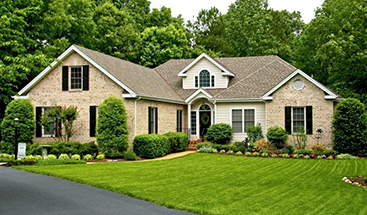 When possible, we love to see a home with both a heat pump and central air. 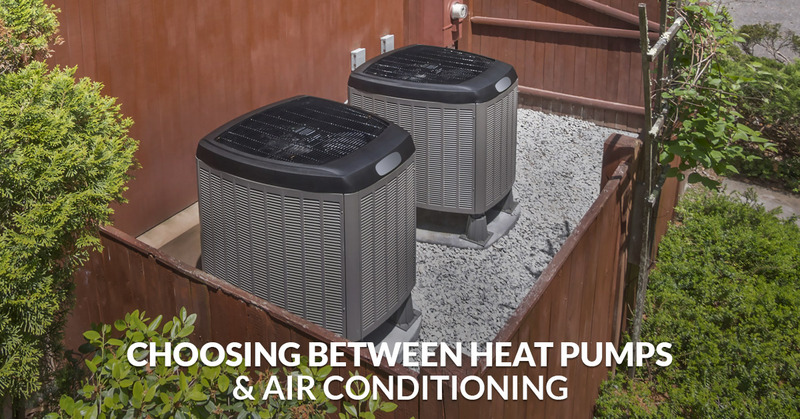 While this may seem like overkill – and in way, is – the benefits of a heat pump for moderately warm or cool days and the forced air system for the more extreme temperatures makes for a sweet pairing. There are also some heat pump systems that can run simultaneously with your central air, allowing you to save a bit on the cost to cool your home with a bit more energy efficiency, given the right conditions. If your home has a working heat pump and you would like to have central air instead, consider keeping both systems in place simultaneously – you certainly won’t be alone in New Braunfels! When the question of repairing or replacing your air conditioner or heat pump system comes up, it is typically advisable to repair when necessary, upgrade when possible, and replace after careful consideration – given that repairing means keeping your current system running, upgrading corresponds to replacing the most crucial parts of the system you have with more modern components, and fully replacing as tearing out and re-installing something completely new, whether another air conditioner or heat pump or its counterpart. The only way to know for sure which is right for your home is to speak with a local heating and cooling professional for the benefits, costs, and other vital information. Don’t wait - Call our team of experienced HVAC professionals for help today!